New York-based composer James Matheson is widely regarded as one of the most distinctive, vital, and creative musical voices of his generation. 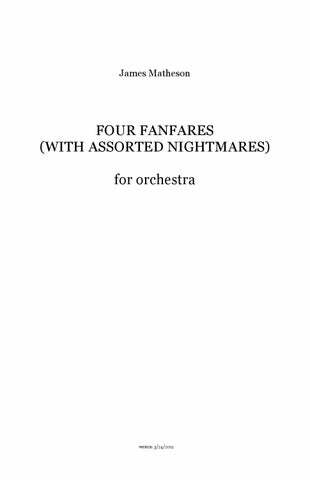 Among his commissions are works for the New York and Los Angeles Philharmonics, the Chicago and Albany Symphony Orchestras, Carnegie Hall, and the St. Lawrence and Borromeo String Quartets. The American Academy of Arts and Letters honored him in December, 2011 with the Charles Ives Living. A 2016 release from Yarlung Records featured three major Matheson works: Violin Concerto (Baird Dodge, with the Chicago Symphony Orchestra led by Esa-Pekka Salonen); Times Alone, (soprano Laura Strickling and pianist Thomas Sauer); and String Quartet (Color Field Quartet). 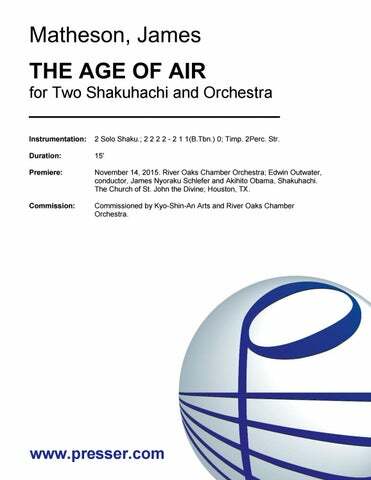 Recent commissions include a new work for large orchestra, commissioned by the Los Angeles Philharmonic, to be premiered February 24th, 25th and 26th, 2017; Violin Concerto, co-commissioned by the Chicago Symphony Orchestra and the Los Angeles Philharmonic; True South, commissioned by the New York Philharmonic; The Age of Air, for two shakuhachi and chamber orchestra, co-commissioned by Kyo-Shin-An Arts and River Oaks Chamber Orchestra for soloists James Schlefer and Akihito Obama; String Quartet (2014), commissioned by Justus and Elizabeth Schlichting for the St. Lawrence String Quartet; Times Alone (2013), commissioned by soprano Kiera Duffy, Cretic Variations (2013), commissioned by pianist Nadia Shpachenko, and Peace Talks (2014), commissioned by Swarthmore College for its Sesquicentennial Celebration. Other recent projects include new works for violinist Jennifer Koh, pianist Bruce Levingston and pianist Nadia Schpachenko. From 2009 to 2015 James served as Director of the the Los Angeles Philharmonic’s innovative Composer Fellowship Program. In addition to the Ives Living award, Matheson has received fellowships and awards from the Guggenheim Foundation, Civitella Ranieri, the Bogliasco and Sage Foundations, ASCAP, and the Robbins Prize. From 2005-2007, Matheson was Executive Director of the MATA Festival of New Music in New York, which commissions and performs the work of young composers who are making their entry into professional musical life. Matheson has held residencies at Yaddo and the Liguria Study Center, and has been a fellow at the Aspen Music Festival and the Norfolk Chamber Music Festival. for Chamber Orchestra 18:00 Fl. Ob. Cl. Bsn. Hn. Hp. Vibe. 2Vln. Vla. Vcl. Cb. for Orchestra 1:30 3(Picc.) 3 3 3(Cbsn). – 4 3 3(B.Tbn.) 1; Timp. 2Perc. Cel. Hp. Str. for Orchestra 10:00 3(2 dbl. Picc., 3 dbl .A.Fl.) 3(E.H.) 3(dbl.B.Cl.) 3(Cbsn.) – 4 3 3(B.Tbn.) 1; Hp. Pno./Cel. 3Perc. Str. 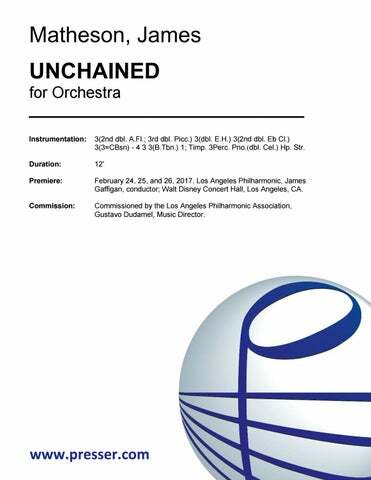 For Orchestra 20:00 2 0 2 2 – 2 1 1 0; 2Perc. Hp. Pno.(Cel.) Str. For Orchestra 20:00 3(dbl. Picc.) 3(E.H.) 2 2 – 4 2 3 1; Str. for Orchestra 12:00 3(2nd dbl. A.Fl. ; 3rd dbl. Picc.) 3(dbl. E.H.) 3(2nd dbl. Eb Cl.)3(Cbsn.) – 4 3 3(B.Tbn.) 1; Timp. 3Perc. Pno.(dbl. Cel.) Hp. Str. 24:00 Solo Vln. ; 3(3rd dbl. Picc.1; 2nd dbl. Picc.2) 3(dbl. E.H.) 3(2nd dbl. Eb Cl. ; 3rd dbl .B.Cl.) 3(dbl. Cbsn.) – 4 3 3(B.Tbn.) 1; Timp. 3Perc. Pno.(dbl. Cel.) Hp. Str. The hypnotic power of this music arises from a moment-to-moment drama that fascinates the mind and creates its own unpredictable structure. 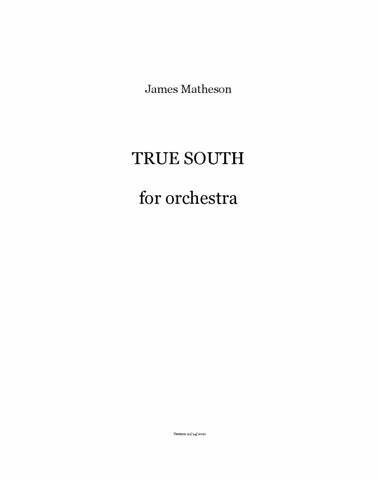 James Matheson is simply one of the best of his generation of American composers. He speaks in a clear, humane, deeply expressive voice and with polished, elegant technique. 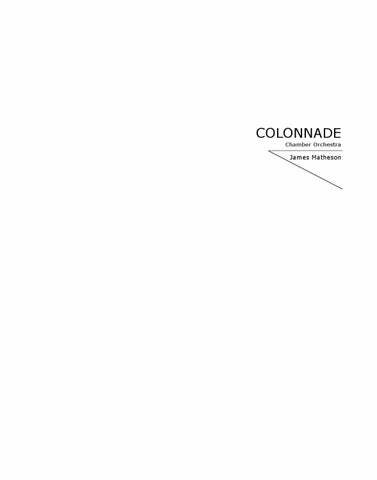 James Matheson is ignoring style labels and writing synthetic, satisfying music that avoids the glib theatricality of postmodernism. Matheson is formidable in talent and promise. Matheson’s music seems to be a breakthrough, an articulate new voice. What I like best is how fresh and independent it comes across. Matheson is an exceptionally talented composer of vital music. It is brilliant really, and it has many different and pleasing aspects to it despite the remarkable energy that drives it along. All of Matheson’s works are lively, fresh, and bracing in their gestures, vivid in their timbres, intriguingly unpredictable in their shapes, and characterized by an intense, even obsessive, concentration on their central musical ideas. 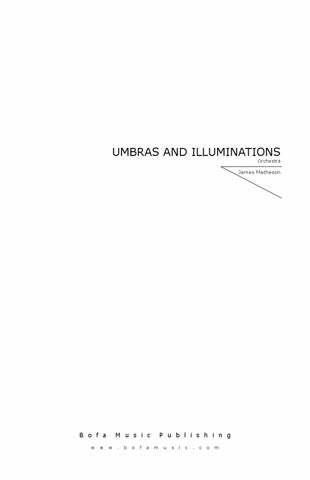 The music of James Matheson is free of academic sterility and postmodern irony in equal measures. He forgoes those well-worn refuges in favor of an eloquent language capable of deep feeling and genuine surprise: a language founded in some sense on tradition, but tradition constantly reinvented. Matheson is not afraid of beauty. His masterly play of consonance and dissonance affords him a broadly humane expression that has put him in the forefront of his generation. Joined by clarinetist Garrick Zoeter, the group launched into “The Anatomy of Melancholy” by James Matheson, which they premiered two days ago in Chicago. The piece, written for the group, had a surprisingly beautiful and eerie feel. The composer created a delightful effect by having the violin or cello pluck the same notes at the same time as Huebner hit the keys – creating an almost bell-like sound. Later in the piece, the four players bounced a note back and forth and then finished in a frenzy. “Buzz” swoops and tumbles like a songbird coasting on a summer breeze. 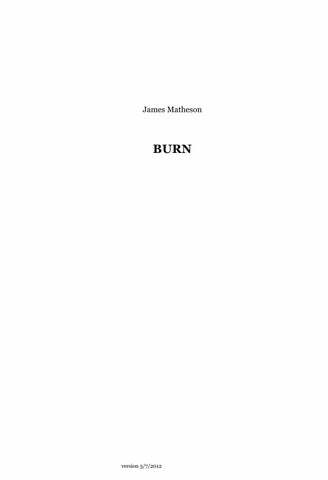 James Matheson’s “Buzz” made the most of the instrumentation…, dividing the ensemble interestingly, with the clarinet and violin combining in a mercurial counterbalance to the weightier cello and piano writing … [I]t is accessible and eclectic. 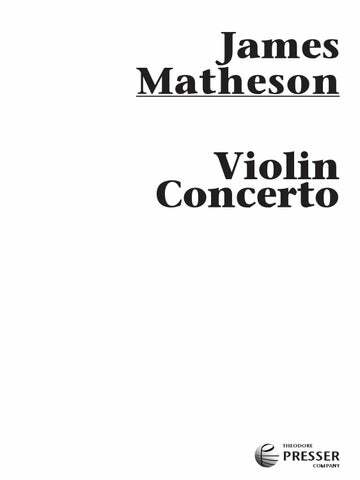 Playing against the expectations of typically flamboyant, outgoing violin caprices, Matheson’s work is dramatic in an eerily quiet manner…This two-minute work sees very high position work and is suitable for advances violinists. 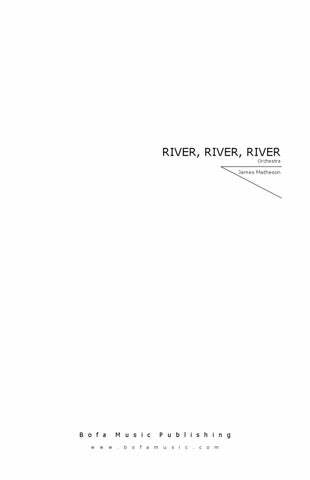 James Matheson’s “Pound” opens with a soft repeated note that grows like a beast, forming a kind of rhythmic spine, with whorls of accented notes that dance around it in a concept that only grows more chilling in its relentlessness. Eric Huebner, who was so expert in the Ligeti “Piano Concerto” last season, seemed doggedly immersed in the pummeling rhythmic patterns that only grow more and more fiendish. Impressive… suitable for advanced players… well-crafted [with] great contrasts and textural counterpoint. Engaging and highly recommended. James Matheson’s “Songs of Desire, Love, and Loss,” a song cycle for soprano and mixed ensemble, gave seven poems by Alan Dugan an evocative treatment, the soprano unfolding words carefully and pointedly while the instruments provided dappled, dovetailed, secretive underpinning – painting the place of the poems. Matheson’s Songs of “Desire, Love and Loss” illustrates and dramatizes seven poems by Alan Dugan. Matheson tends to build to a punch line, which often helps clarify Dugan’s slight obscurities. You may not know what the poet means, but the music at least directs you to the right place emotionally. 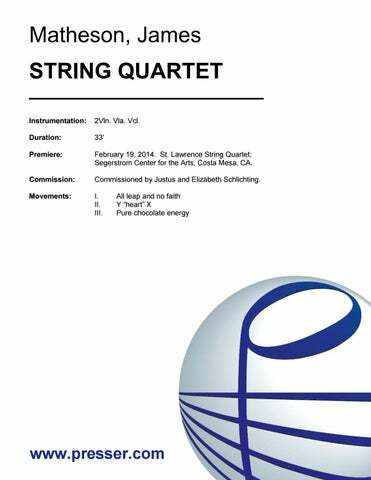 Matheson’s String Quartet is an impressive work…brimming with ideas; the richness of their number is palpable. Matheson…obviously has a talent for writing for strings. The “String Quartet” is, perhaps first and foremost, beautifully orchestrated, the combination of instruments used to create one wondrous color after another. [“The Paces”] isn’t afraid to be quiet… it does not fear beauty… it is prone to turn a melody in an unexpected direction, or color a harmony with a subtle surprise. Matheson’s lively 20-minute sequence of ear-catching timbres and evocative passages was bracketed by episodes of surging energy and buoyant fanfares. Matheson writes in full orchestral 3-D. Waves of tonal sounds moved across the stage, and sections had individual voices and even voices within the sections.